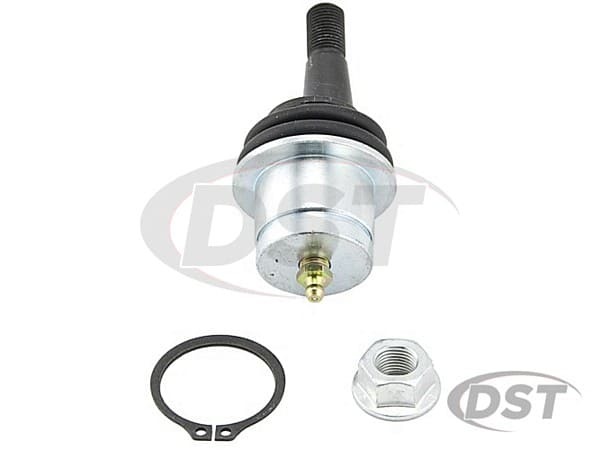 The OE front lower ball joint of the Chrysler 300, Challenger, Charger, and Magnum was not designed with provisions that allow for caster/camber adjustments to be made when your vehicle needs an adjustment Also, the OE design is not serviceable (meaning it cannot be greased) and contaminants can cause premature wear due to corrosion. 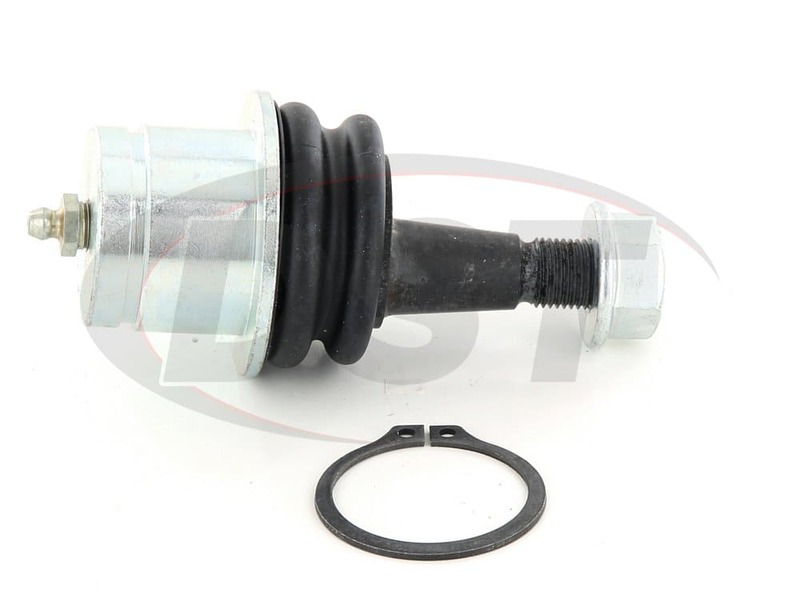 If the front lower ball joint becomes bad enough and you need to replace it, you cannot. The OE replacement is only available as a part of an assembly with the knuckle. 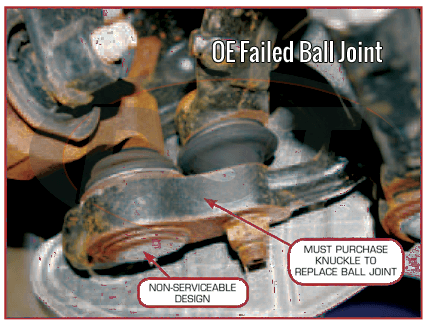 Basically, if the OE front lower ball joint needs work, it cannot be done, it along with the steering knuckle have to be replaced. 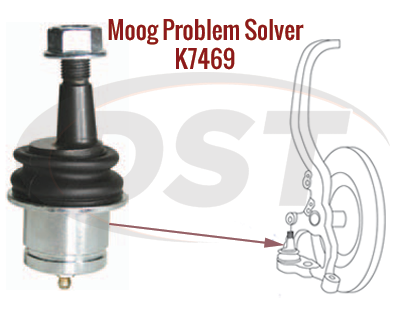 Here at DST we know how frustrating that can be and have a solution: Moog Problem Solver K7469. 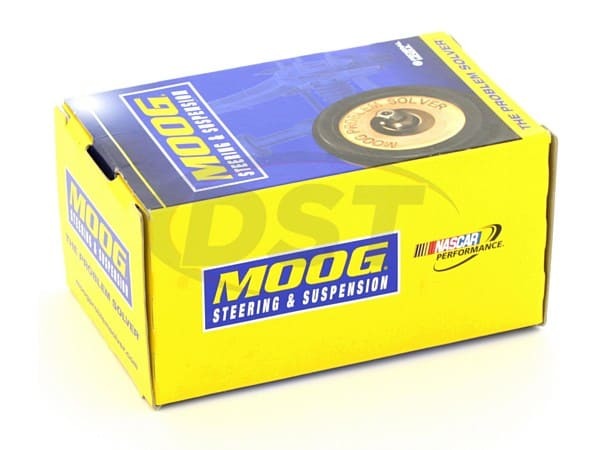 Moog engineered this Problem Solver to allow "non-adjustable" vehicles to become fully adjustable for front cast and camber from -1 to +1 degrees. Future adjustments can be made with a simple turn of the ball stud. 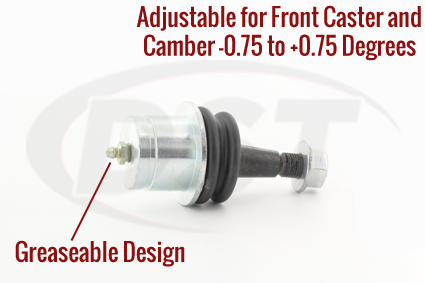 This eliminates the need to replace the ball joint again if it becomes out of alignment. K7469 comes as a separate component, so there's no need in replacing the steering knuckle if it's sound.  This saves you time, money and unnecessary stress. Moog added a greaseable design to Moog part number K7469 to allow contaminants to be flushed out for longer service life. To get yours shipped out of our Stephenville warehouse today, please give our DST customer service team a call or simply click the live chat button. 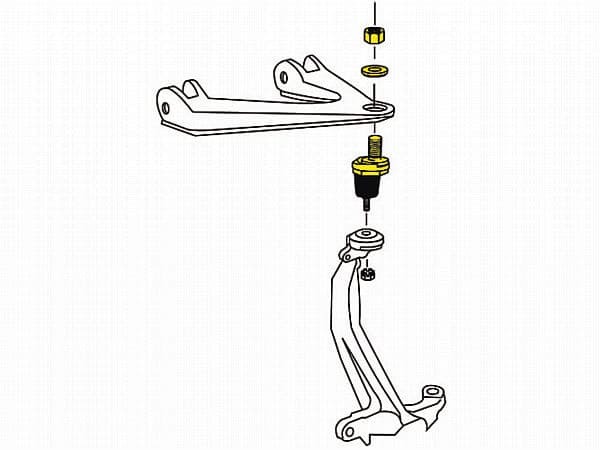 How are the lower ball joints adjusted? Install the ball joint in the spindle. Attach lower control arm to the tapered stud. Do not tighten the nut yet. Take out the oversize grease zerk and use an allen wrench or bit to adjust the camber. 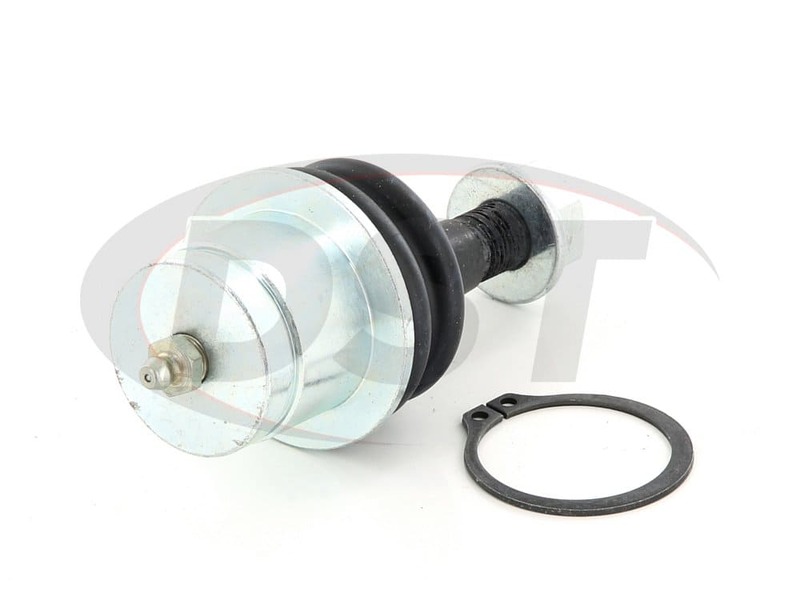 How many quantities of ball joints come in a kit for the part K7469? One ball joint comes in the kit. 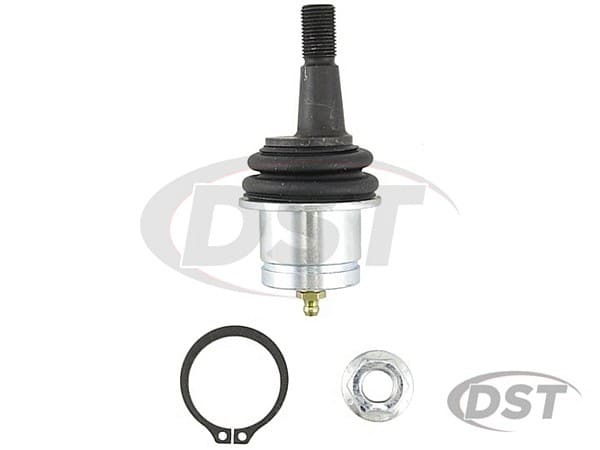 You will need to get two ball joints to complete your suspension on your vehicle. Part K7469 fit both left and right side.